Rocking chairs are undoubtedly an iconic piece of furniture – one that’s provided a place of relaxation and comfort for families all over the globe. It brings to mind images of back porches and relaxing summer nights, or the warmth of a parent soothing a newborn to sleep. This simple piece of furniture can come in a wide array of shapes and sizes, so how do you pick which one is right for you? Here are a few things to keep in mind when picking out a great new rocking chair. A key component in the decision-making process is how comfortable it is. Everyone is shaped a little differently, and every chair is too! A well-suited rocking chair can do wonders to alleviate back pain and release stress, but only if it meets your specific needs. Some things to keep in mind are if the chair provides support to your lower back, if your elbows rest comfortably upon its armrests, and if your feet can be placed evenly upon the ground when not in motion. Some chairs are crafted with a built-in contour to provide extra support! Your height should play a role as well. A low-sitting or low back chair may be great for a shorter individual, but uncomfortable for a taller person to stoop down into. 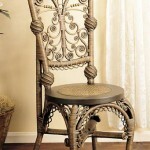 Likewise, a taller or a high back chair may be too cumbersome for those on the smaller side to be comfortable in. On average, a seat height of 16 to 17 inches will suit most people up to 5’10”, while taller folks may desire something closer to 17.5 inches. Another important element is how well it rocks, the balance of the chair. Your rocking chair should glide fluidly through its motion without need for excess pushing or force. Also, be wary of chairs that tilt too far backward. No one enjoys taking a surprise tumble! Materials: Where and What Will You Be Rocking? 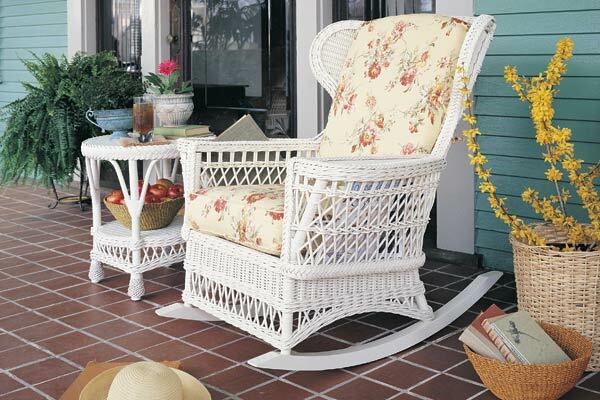 Rocking chairs are commonly made of materials that restrict them either exclusively to indoor or outdoor use. You should decide first on where you intend to keep your chair and let that filter what materials are on your shopping list. 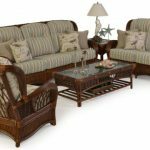 For example, if you intend on keeping your rocking chair in your home, indoor wicker rocking chairs make an excellent choice. 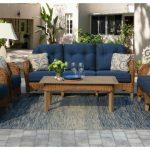 They are commonly outfitted with soft, colorful cushions and the intricately woven wicker can be found in a number of beautiful finishes to match any decor. Keeping these chairs inside helps keep them vibrant and long lasting! 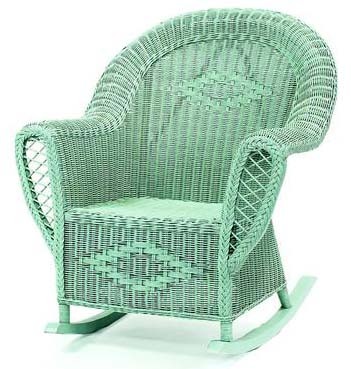 Alternatively, if you intend to keep your rocking chair on the patio or in the garden, you may want to consider specially crafted outdoor wicker rockers. 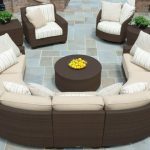 These chairs are often treated with durable resins that prevent them from becoming damaged in harsh weather conditions or repeated sun exposure. These are also available in an assortment of colors that are sure to compliment your porch space! Here are a few of the most popular materials, plus the advantages and drawbacks to each. Remember to weigh things such as durability, comfort, and cost when deciding which material is right for you. Pine is a “soft wood” that is inexpensive, but not very durable. Soft wood chairs need regular maintenance to keep up their good looks. Even then, they can easily be damaged and their varnish tends to wear away very quickly. They should only be used in low traffic, indoor areas. Oak is a “hard wood” and generally a more durable alternative to soft wood. They are significantly harder to scratch or dent, however they will still need to be regularly varnished if you intend to keep them outside. They can be slightly more expensive, but their longevity tends to be worth the price. 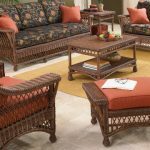 An incredibly popular choice is wicker rocking chairs, in natural materials these are very lightweight and come in a variety of unique weaves. While pretty, indoor chairs are not very resilient to the outdoor elements and are best suited for use indoors or where it will not be regularly exposed to dirt and wind. 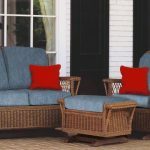 Comfort can be an additional key, wicker has a natural give to it, allow you to fully rest into the seat of the chair a bit. For outdoor use, resin wicker is a ideal choice being made with aluminum frames and synthetic fibers that mimic the look of the natural pieces. Made to stand up to the outdoor elements and have the same comforts as their counterparts. 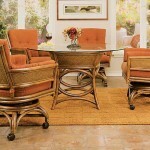 For further reading, read more about resin wicker here. Plastic is a common choice for outdoor furniture because it is cheap and easy to maintain. However, the mass-produced pieces aren’t especially comfortable and are known to easily stain or become discolored when left outside. Plastic works best for temporary events. Keep in mind that some rocking chairs require assembly, so make sure to check the product description if you’re uncertain about putting it together yourself. 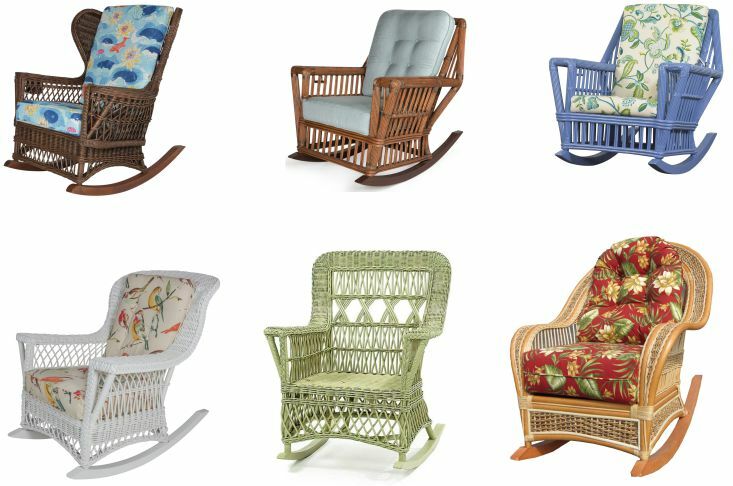 The most exciting part of picking out a new rocking chair is deciding what sort of style fits your home best! 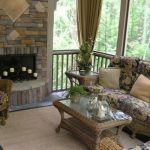 Rocking chairs come in such a wide variety, from exotically woven designs and boldly patterned cushions to the simple charms of rustic wood. 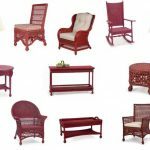 You can explore different styles of slants – the panels that run horizontally or vertically across the chair – as well as a huge selection of varnishes, finishes, colors and stains that make every rocking chair its own unique and artistic masterpiece. 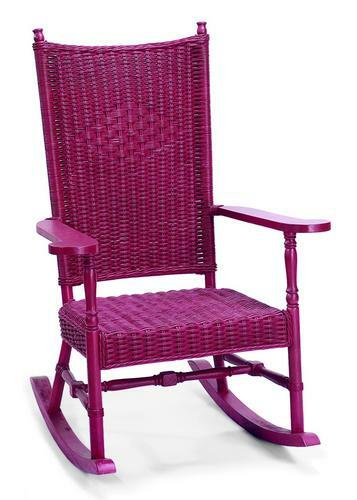 A classic, straight-backed rocker commonly made of hardwood. This stately chair is also available in the Jefferson variation, which is slightly taller and leaner. A wide rocker featuring a curved back and large-sized armrests. The Adirondack chair tends to sit lower to the ground than the Presidential. Often is contoured to have a slight dip at the back of its seat. Whether you’re looking for that perfect place to find some zen after a long day or finding some time to sit outside with nature, there’s bound to be a perfect rocking chair out there for you! Good luck, and happy findings!